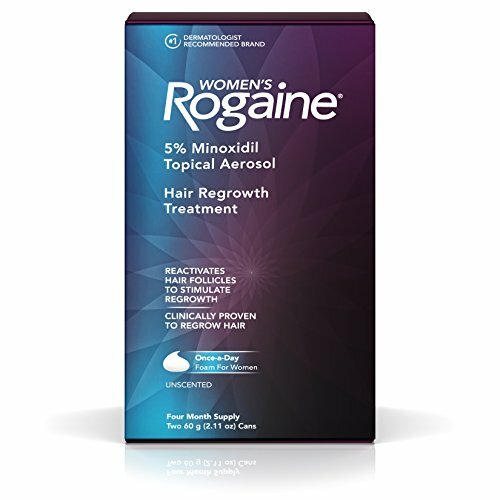 Help treat hair loss and regrow fuller hair with Women's Rogaine 5% Minoxidil Topical Foam. Ideal for use at the early stages of hair thinning, this fast-working hair regrowth treatment is specially formulated for women and is clinically proven to regrow up to 25% more hair. This thinning hair foam penetrates the scalp to reactivate shrunken hair follicles, allowing for regrowth of hair. The 5% Minoxidil formula works to boost hair follicle activity and hair protein production, while Tricho-Prime Technology uses a proprietary combination of ingredients to create an optimal environment for hair regrowth. The thinning hair treatment also contains botanical extracts and emollient to help maintain a healthy, conditioned scalp, plus alphahydroxy acid (AHA) to promote natural skin exfoliation to help keep follicles open. This hair growth treatment comes in a no-mess foam that is easy to use and is designed to fit easily into your daily beauty regimen with once-daily use. 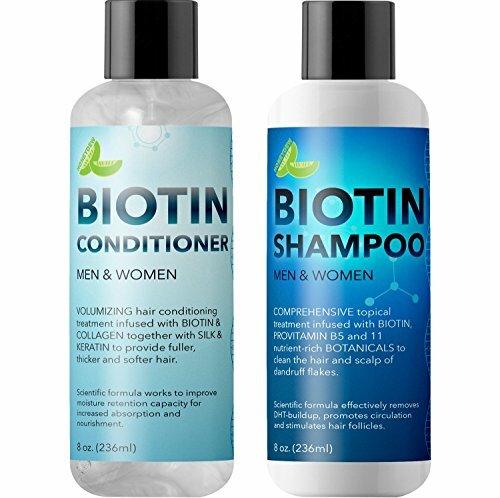 Our Biotin Shampoo and Conditioner set is a comprehensive topical treatment. It is rich in hair vitamins, botanical oils, and nutrients to naturally clean the hair and scalp, decrease dandruff flakes, stimulate hair growth, and promote nutrition of the hair and scalp. 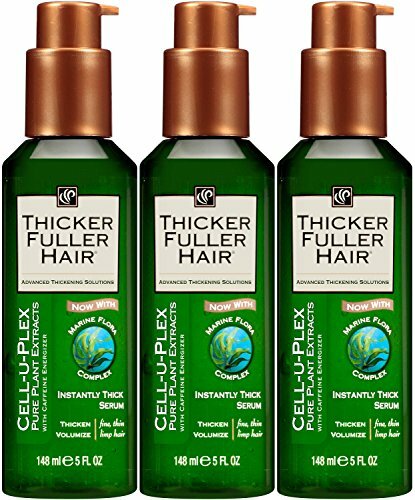 These products are natural DHT blockers and hair growth products with moisturizing nourishing ingredients for silky lustrous hair and beautifully hydrated locks. 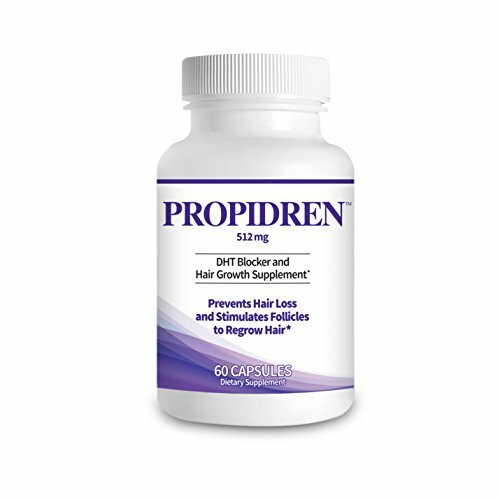 Biotin is a natural DHT blocker and hair growth stimulator. It improves hair thickness, gives you stronger hair, improves scalp health, and helps keratin bind the hair to follicles so that there is less shedding Aloe Vera repairs and conditions the scalp also reducing dandruff and itching Shea butter moisturizes hair and scalp leaving it silky smooth/li> Hibiscus nourishes your hair and is great for fighting hair loss and stimulating hair regrowth Sea buckthorn and evening primrose have rich fatty acid contents which help improve overall hair and scalp health giving your hair a beautiful natural looking shine Collagen natural amino acid helps strengthen hair follicles and improve hair growth Jojoba and Coconut Oils assist in removing sebum on the scalp and promoting hair growth and will protect hair from breaking and drying up Argan oil is rich in antioxidants and promotes healthy hair growth, moisturizes the scalp, and fights dandruff Phytokeratin strengthens and shines hair by penetrating the hair shaft and enhancing the hairs ability to retain moisture Biotin Shampoo and Conditioner Set is rich in hair vitamins nutrient rich botanicals. Good for use on all hair types; curly, fine, straight, and color treated hair. These products are gentle and safe for color treated hair. 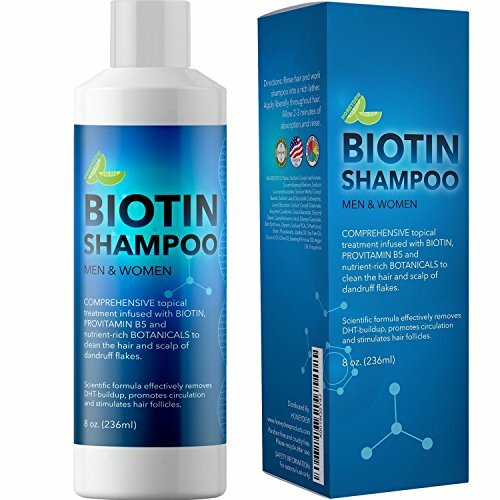 Biotin shampoo and conditioner is made with fine quality natural ingredients. Sulfate free formula, hypoallergenic, and safe for use on sensitive skin. Our products are made in the USA and are cruelty free. Gain control of your frizzy hair again with PURA D OR Original Gold Label Shampoo. Loaded with 17 Top Rated Key Active Ingredients that will promotes your fine hair into stronger, cleaner, healthier hair free from sources of hair thinning. Experience thicker, strengthening, lustrous hair with our selected botanical ingredients that add shine to your hair and help strengthen hair follicles to stimulate thickness. Protect your hair from hair thinning and hair breakage using paraben free and sulfate free shampoo from PURA D OR. Our hair care shampoo is cruelty free and gentle even for those with sensitive scalp and treated hair. All PURA D OR products are produced and bottled in our facility in Southern California where we use renewable energy source. KEEPS YOUR HAIR & SELF-ESTEEM. Stop the cycle of negativity & low self-esteem with our hair thickening shampoo. Formulated with argan oil which is loaded with A, C & E vitamins to help boost scalp & skin cell production for dry, brittle & thin hair. TAKE CONTROL OF YOUR LIFE AGAIN. It's seriously depressing to lose hair. It can really ruin your sense of identity. Developed with 17 key active ingredients, extracts, & essential nutrients to help hair thinning so you can feel confident & take control of life again. ACTIVE DRUG-FREE INGREDIENTS. With leading & natural ingredients that is packed with a powerful blend of Biotin, Nettle, Pumpkin Seed, & Black Cumin Seed Oil to make the perfect plant-based formula. Free from harsh chemicals, environmentally responsible, hypo-allergenic, vegan, & cruelty-free. 100% SATISFACTION GUARANTEE. Healthy hair for happy customers. We offer 100% Satisfaction Guarantee. If you are unsatisfied with our hair thickening shampoo, let us know and we will give you a FULL refund. 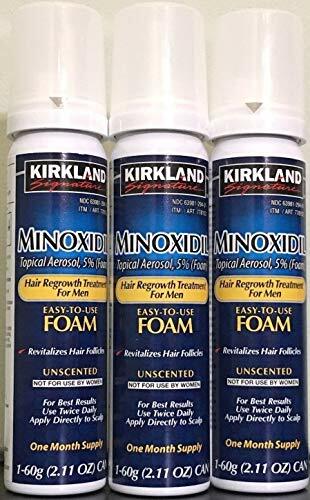 Kirkland Signature Minoxodil topical Aerosol 5% is for men who have a general thinning of hair on the top of the scalp (vertex only). 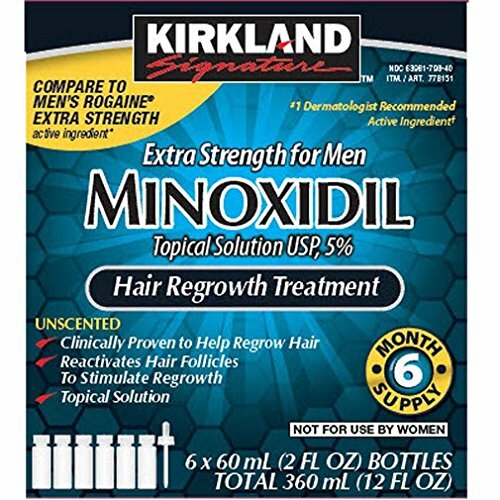 Minoxidil has been show to regrow hair in men with low to moderate hair loss. 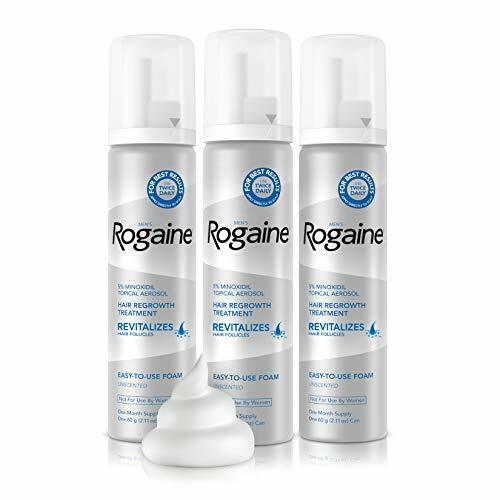 Please see images for a diagram to determine if this product will treat the degree of your hair loss. This lightweight natural therapeutic grade vitamin B-Complex Anti-Hair Loss Conditioner was meticulously formulated with healing ingredients found in nature. 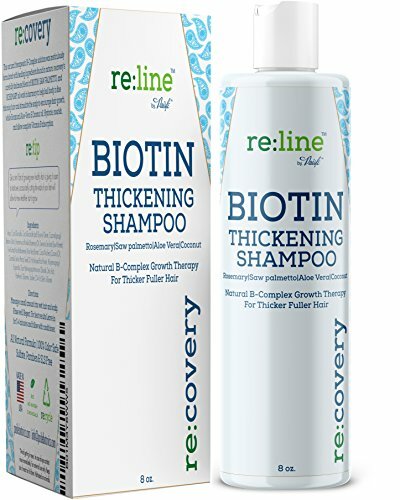 RE:COVERY's carefully balanced herbal blend of BIOTIN SAW PALMETTO and CASTOR oil work in harmony to help build body in fine thinning hair & stimulate the scalp to encourage new hair to grow while Botanical Keratin, Aloe Vera, and Natural Coconut Oil hydrate nourish and allow complete Vitamins B & E absorption giving you the best thickening hair product for men and women alike. Research shows, that male and female hair loss, shedding, and breakage are very often caused by the lack of proper hair nourishment, access of DHT or weakness of the hair strand, years were spent researching and developing the perfect blend of botanicals to naturally treat and rejuvenate your hair, your search for natural hair loss products ends here. No harsh chemicals such as Formaldehyde, Lye, Parabens, Sulfates, Phosphates, Phthalates, SLS, or Sodium Chloride. All Natural Ingredients Including - Castor Oil - Rosemary Oil - Coconut Oil - Aloe Vera - Biotin and Keratin Promotes circulation and stimulates hair follicles. Natural deep conditioner for sensitive skin and scalp - Vitamin E rich Natural DHT Treatment Pleasant botanical scent. Cruelty free. 100% Money back RE:FUND guarantee! Delicious surprises come in small sizes from the German Chocolatier Schoko-Dragee.u00A0 Theu00A04.4 Ounce grab-and-go Schoko-Dragee bags make a wonderful gift and will satisfy that mid-afternoon chocolate craving. Brand: Wild Growth | Manufacturer: WILD GROWTH CO.
3HC STIMULATION COMPLEX - This blend of plant-derived active ingredients has been clinically shown to stimulate hair growth and hair regrowth by promoting the proliferation of HFDPC cells, the stem cells responsible for regulating hair follicle development, increasing the number of growing fibers, increasing follicle lifespan and preventing hair loss. In clinical trials of alopecia patients using dermatologist conducted pull tests (clinical method used to estimate amount of hair loss), the analysis showed a reduction in hair loss of 21% over a 3-week period. A great curly hair product, too! HAIR REGROWTH SHAMPOO - Coconut Oil, Evening Primrose Oil, Rosemary Oil, Castor Oil, Green Tea Extract, Vitamin B Complex, Biotin and Keratin, this volumizing shampoo rivals Kerastase shampoo and is a perfect choice for overall hair regrowth, hair repair and hair regrowth for men and women, shampoo for oily hair, straight hair and even curly hair products. ANAGEN VS. TELOGEN HAIR - 3HC has the unique ability to increase the ratio of anagen (growth phase) to telogen (resting/dying phase) hair, which keeps follicles in a more constant state of growth. By keeping a larger percentage of hair in the growth phase and preventing hair from entering resting phase, the body will continually encourage hair growth. After treatment with 3% 3HC a 31% increase in the anagen/telogen ratio was realized in just 60 days. THE SCIENCE OF AMINO KERA NPNF - Combination of Keratin-derived amino acids designed for deeper penetration than other Keratin ingredients due to its molecular weight distribution. It has been clinically proven to provide immediate & long-term strengthening. In lab tests, hair treated with 2% Amino Kera NPNF conditioner showed an immediate 10% increase in strength (defined as total work required to break hair) vs. placebo conditioner and a 41% increase after 3 applications. 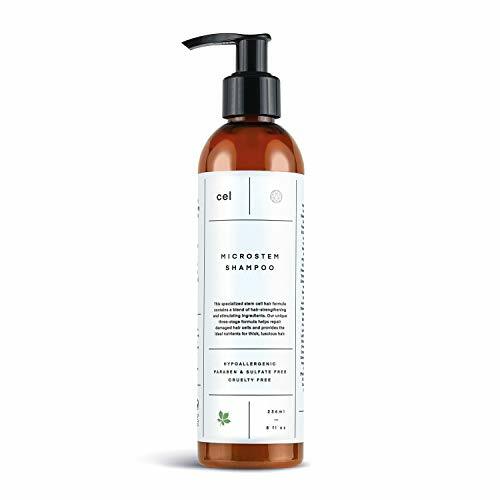 This natural therapeutic grade vitamin B-Complex Anti-Hair Loss Shampoo was meticulously formulated with healing ingredients found in nature. RE:COVERY's carefully balanced herbal blend of BIOTIN SAW PALMETTO and ROSEMARY oil work in harmony to help build body in fine thinning hair & stimulate the scalp to encourage new hair to grow while Botanical Aloe Vera and Natural Coconut Oil hydrate nourish and allow complete Vitamins B & E absorption giving you the best hair regrowth treatment for men and women alike. 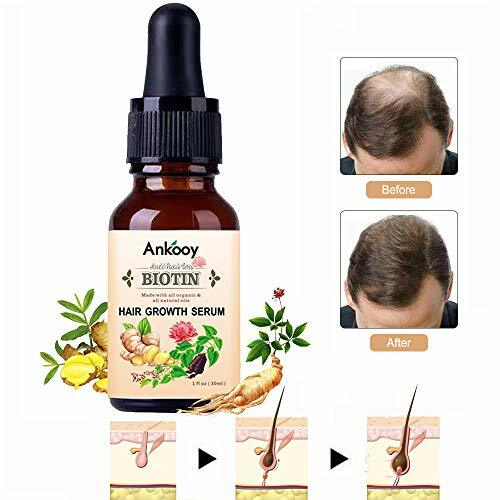 Research shows, that male and female hair loss, shedding, and breakage are very often caused by the lack of proper hair nourishment, access of DHT or weakness of the hair strand, years were spent researching and developing the perfect blend of botanicals to naturally treat and rejuvenate your hair, your search for hair loss products ends here. No harsh chemicals such as Formaldehyde, Lye, Parabens, Sulfates, Phosphates, Phthalates, SLS, or Sodium Chloride. All Natural Ingredients Including - Biotin - Rosemary Oil - Coconut Oil - Aloe Vera - Hemp seed oil - Glycerine and Rice Protein. Promotes circulation and stimulates hair follicles. Shampoo for sensitive skin and scalp - Vitamin E rich Natural DHT Treatment Pleasant botanical scent. Cruelty free. 100% Money back RE:FUND guarantee! The Fastest Laser Treatment for Hair Loss and Thinning Hair As little as 90 seconds, 3 days a week. The HairMax LaserBand 82 is an FDA Cleared, home use hair growth laser medical device. It delivers therapeutic light energy directly to your hair follicles through 82 medical-grade lasers (No LEDs). 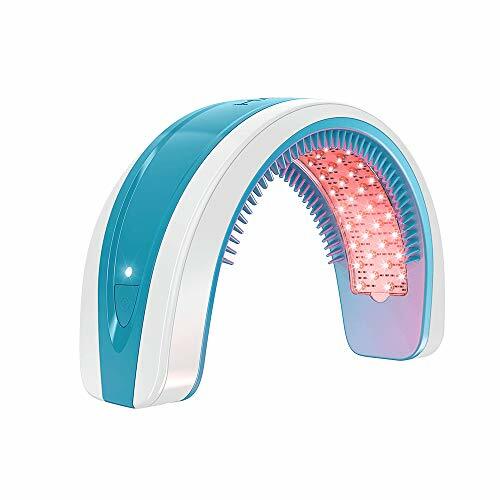 The unique curved design incorporates patented hair parting teeth to part your hair during treatment to maximum laser light delivery to your follicles. The hair parting teeth, the laser light intensity and laser light density work in unison to provide a highly effective hair loss treatment. Without hair parting teeth, the hair can block a majority of the laser light energy from reaching the follicles. The LaserBand is lightweight, comfortable, portable and convenient for home use or while traveling. No heavy battery packs to carry around and the scalp does not heat up or become uncomfortable as it can from helmet devices. Designed by Iconic Italian Firm Pininfarina. What is included? Included with the LaserBand 82 is: (1) device, (2) power adapter, (3) power cord, (4) Rechargeable Battery, (5) user manual, (6) quick start guide. How it Works? HairMax laser devices work through the process of Photo Biostimulation, using safe, nourishing light energy to your hair follicles to activate them for stronger growth. This boost of laser light revitalizes and enlivens hair follicles to stimulate growth factors, reverse the thinning process and can help extend and restore your hair s natural hair growth cycle. Thin, weakened and lifeless hair starts to grow in thicker, denser and fuller. Clinical Studies: HairMax has conducted more studies on light energy for hair growth than any other company to date. HairMax laser devices have been proven effective in 7 clinical studies at top medical research centers in the U.S. HairMax laser devices are the ONLY devices on the market with clinical study results published in 6 peer review medical journals. FDA Clearances: HairMax laser devices have been granted 7 FDA Clearances and hold 14 medical device licenses world-wide. About the Brand: HairMax is the pioneer of at-home laser hair growth technology and is the global leader in the field, bringing doctor recommended laser light hair growth treatments to hair loss sufferers around the world. We ve earned that recognition by developing clinically proven hair growth laser devices that help treat hair loss and provide breakthrough hair growth benefits. Got damaged thinning and or over processed hair? Our All Natural Biotin Shampoo is a super effective way to treat hair loss, promote hair growth, repair damage and even reduce dandruff. The shampoo is contains vitamins and minerals which help you keep your hair full and thick for beautiful and youthful look. This Biotin complex formula works by promoting circulation and stimulating your hair follicles. Feel your hair sheds on a regular basis? Our shampoo can help slow shedding and encourage regrowth. Our vitamin complex contains a blend of nourishing botanicals which strengthen existing follicles and promote thicker hair growth. This hair loss treatment shampoo contains botanicals which block DHT, one of the main cause of hair loss. Blocking this substance helps keep follicles healthy and strong, for thicker and fuller hair with luster and shine. This conditioning shampoo helps to reduce dandruff and hair shedding with a blend of vitamins, minerals, and antioxidants that nourish scalp. Hair healthy botanicals and essential oils work to reduce hair loss and promote hair growth. Green Tea Extract, Tea Tree Oil, Coconut Oil, Mulberry Root Extract, Evening Primrose Oil, Rosemary Essential Oil, and Argan Oil all of these work in synergy to cleanse, clarify, and conditions the scalp, for healthy, strong, and fortified hair. This shampoo is paraben free, sulfate free, and cruelty free, and is backed by a 100% MONEY BACK GUARANTEE. PREMIUM TREATMENT FOR DHT Our All Natural Biotin Shampoo is an effective treatment for DHT a major cause of hair loss. Our treatment shampoo reduces DHT and slows hair shedding so over time you get thicker and denser hair. 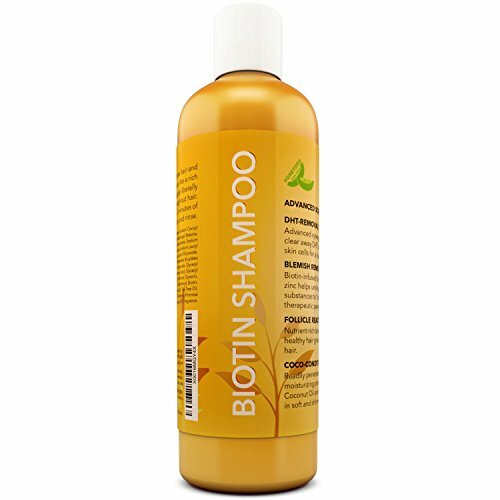 POWERFUL TREATMENT FOR HAIR LOSS The Biotin primary ingredient contained within our shampoo slows down hair shedding. The shampoo contains pure all natural ingredients which nourish your hair follicles so our product can rejuvenate your hair. ALL NATURAL BIOTIN SHAMPOO Our shampoo is a 100% sulfate & paraben free shampoo and is hypoallergenic. The shampoo contains B5 Zinc Tea tree oil and Argan oil for hair growth you can see and smoothness you can feel. 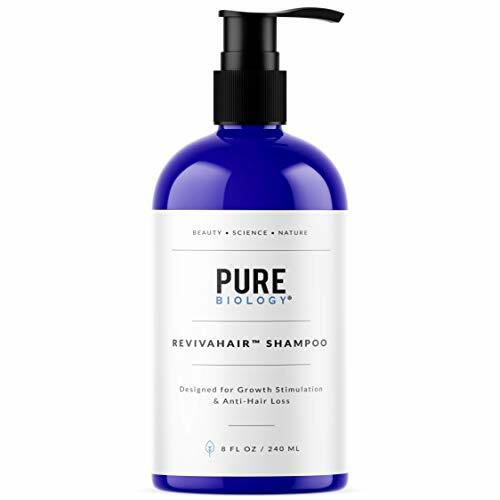 SHAMPOO FOR HAIR GROWTH Our natural biotin shampoo works to promote hair growth by stimulating hair follicles and promoting circulation for better nutrient delivery and therefor better hair growth. MONEY BACK GUARANTEE we take customer satisfaction very seriously. Quality is important to us which is why our shampoo is made in a facility that exceeds cGMP standards. If you are unsatisfied for any reason return this product for a full refund. 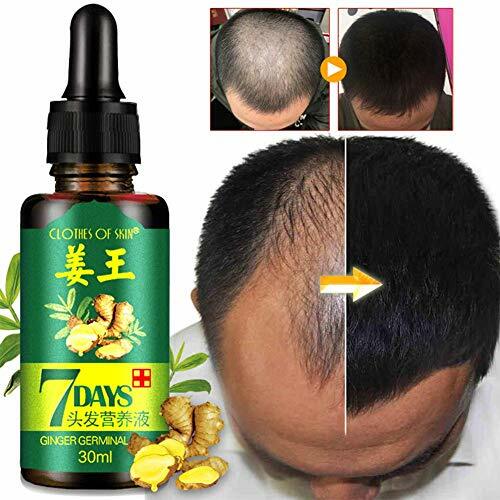 Hair Growth Within 28 days: 2 or 3 Times fast Speed of hair growth.Dense hair, issuance, prevent hair loss; let the hair follicles to grow new hair root.Raise hair make hair smoother. BUY WITH GUARANTEE: If you are not satisfied with our products, we offer a replacement or 100% refund without any questions. How to use: Wash hair before use, until the hair is half dry, the product will be dropped in the hair loss or need to grow, as much as possible on the scalp, and then massage with a finger moderate 2-3 minutes to absorb (after use No need to shampoo again) Better results 2-3 times a day. ENOUGH IS ENOUGH -Are you tired of hair growth vitamins making outrageous claims and providing no results? In the past few years select medical grade botanicals and clinically studied ingredients AT efficacious doses have revolutionized hair health. Science has moved beyond just Biotin for hair growth. 1) No Clinically Backed Ingredients - The majority of hair vitamins on the market are full of ineffective unproven ingredients that have NO scientific data or clinical trials to show they work. 2) Ineffective Dosing Having a clinically proven ingredient is one piece of the puzzle. Using effective clinical dosages is what makes a proven ingredient produce the results shown in studies. 3) Proprietary Blends Be VERY WARY of any hair growth supplement using proprietary blends. To cover up underdosed clinically proven ingredients companies will use "proprietary blends". Companies will sprinkle in a tiny amount of expensive ingredients like EVNolMax and Cynatine HNS and call it a "proprietary blend". We've combined revolutionary proven ingredients at their clinical doses with medical grade botanicals like Bamboo, Folate, and Biotin for a hair growth product that provides real proven results. EvNolMax - Often referred to as Super Vitamin E a tocopherol & Tocotrienols Non-Soy, Non-GMO full spectrum vitamin E (all 8 isoforms of vitamin E) on the market. Its powerful antioxidant properties have been clinically proven to aid in hair loss and hair growth. Cynatine HNS - is a patented Solubilized Keratin, a protein found naturally in the body which aids in the production of hair growth, protecting, and repair. Cynatine is clinically proven effective at 500mg per day. Grow thicker and fuller hair. Grow hair faster and longer. If you're thinning, balding, shedding or experiencing any kind of hair loss then Haircore XL is for you! Haircore XL is like nothing else out there! 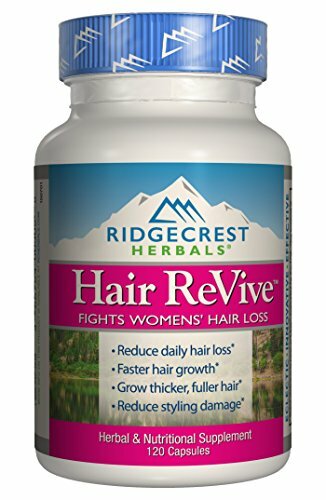 These uniquely formulated hair loss vitamins, herbs and nutrients support follicular growth while thickening and strengthening hair naturally from within. Simply take 1 capsule, twice daily to block and counter the negatives effects of DHT, a leading cause of hair loss in men and women. 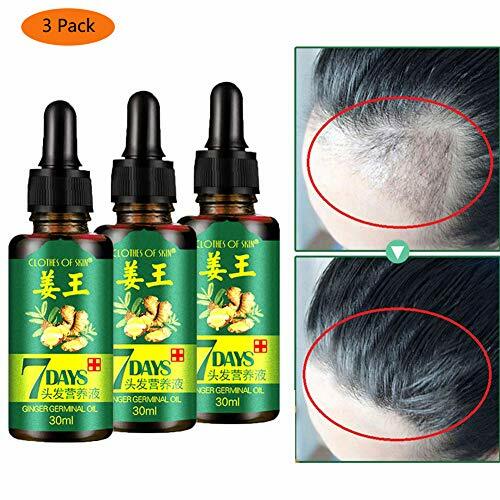 Effective for all types of hair loss , including alopecia areata, hormonal hair loss, post pregnancy related hair loss, hereditary hair loss, male and female pattern baldness, receding hairline, hair loss due to stress as well as other hair loss causes. Get fuller, thicker and faster growing hair without the side effects common with mainstream hair regrowth supplements, creams, shampoos and oils. Avoid expensive and harsh treatments that cause more problems than they solve, and give your body the vitamins, herbs and nutrients it needs to repair, restore and regrow hair. Haircore XL is the most powerful and complete hair growth product on the market. It is safe, effective, easy to take, it can be used by both men and women and it works for all hair types. It is doctor approved and trusted, scientifically formulated in the USA in a GMP certified and FDA approved facility. Stop hair loss in its tracks and give your hair a fighting chance, get Haircore XL today! All orders have a 120 Day Money Back Guarantee, so you have nothing to lose and a lot to gain! Order now! Results can be seen within 7 days. For best results use for 3 months. (1 bottle = 1 month, take 2 capsules once daily, or 1 capsule twice daily). 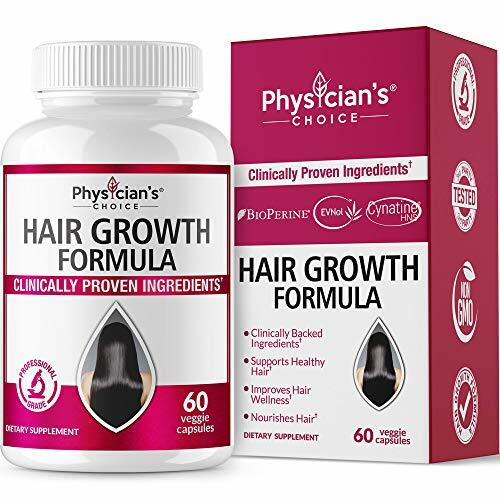 BEST HAIR GROWTH PRODUCT: Clinically proven DHT blockers, and hair growth vitamins that work synergistically to stop hair loss and help regrow and thicken hair. NATURAL, SAFE AND WORKS FAST: Over 25 natural and safe ingredients packed into easily digestible capsules. Works inside out to stop hair loss, thinning, shedding and balding, repairs dormant hair follicles and promotes new hair growth / regrowth, fast! 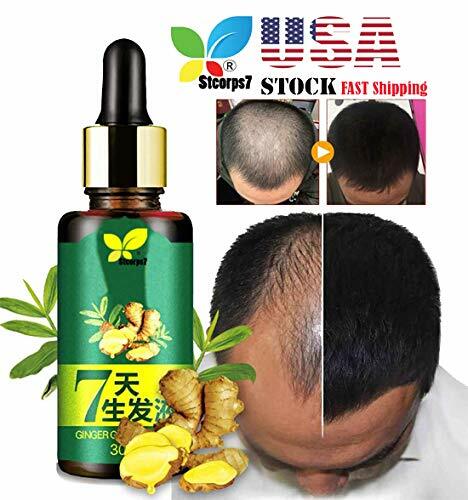 EFFECTIVE FOR ALL HAIR TYPES, MEN & WOMEN: This powerful formulation effectively treats all hair loss in men and women including, alopecia areata, hormonal hair loss, post pregnancy related hair loss, hereditary hair loss, male and female pattern baldness, receding hairline, hair loss due to stress and other hair loss causes. SCIENTIFICALLY FORMULATED IN THE USA: Tested, proven and formulated in the USA. See results in as little as 7 days. For the best possible results take for 3 to 6 months. Get the hair you always deserved! RISK FREE 120 DAY MONEY BACK GUARANTEE: Try it risk free, guilt free and with full confidence! Try if for at least 30 days, if you're not blown away with the results then we'll refund every penny. Order now! Item: Hair Regrowth Serum. Net content: 30 ml. Size: 5*7.4*0.3 cm. Features: Anti-defixation, strong hair and heel. Nourish hair roots, raise hair and firm hair. Balanced oil control, refreshing and supple. The new hair is reborn, thick and thick. Simple and practical. Package include: 1pc hair growth essence. Regulate oil secretion. can dredge sebaceous duct, reduce and control oil secretion and improve hair loss. Balanced and oil control, keep your hair fresh and supple. Usage : before using the clean hair, wait until the hair work partly, the product of drop in hair loss or to grow in, try to drop on the scalp, then use stomach appropriate massage 2-3 minutes until absorbed (after use need not again hair), 2-3 times a day the effect is much better! HAIR NOURISHING INGREDIENTS: Nanotech Stem Cell Shampoo & Conditioner is scientifically formulated with powerful, nutrient-rich ingredients to help promote fuller, more youthful looking hair. NATURE, AMPLIFIED: At Cel, our mission is to take the most effective, natural ingredients and combine them with expert scientific breakthroughs to create a product that will truly deliver results. 30 DAY MONEY BACK GUARANTEE: We are so confident that you will LOVE our shampoo and conditioner that we offer a 30 DAY MONEY BACK GUARANTEE. If they don't work, then we don't deserve your money.